Born and raised at the Sanctuary, Jamaica just kept growing she is 16.2 at age 6. In her 4th year she developed a growth on her right front elbow, this proved to be a large cell Cancer growth. 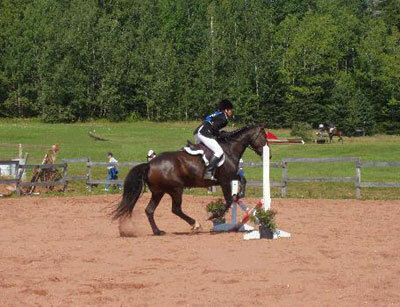 AVC’s Dr. Riley operated successfully, she recovered that winter and went back into training in the spring.